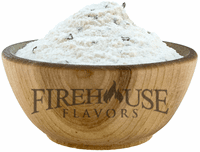 Product Details: Sprinkle our mouth-watering Sour Cream and Onion seasoning powder onto popcorn, homemade chips, baked potatoes, pork rinds, potato tots, and French fries. 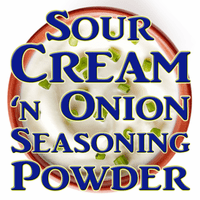 Stir into soups, sauces, casseroles, and mashed potatoes for a tangy, creamy onion flavor. No refrigeration required! Stores and travels well; great for emergency food supplies. 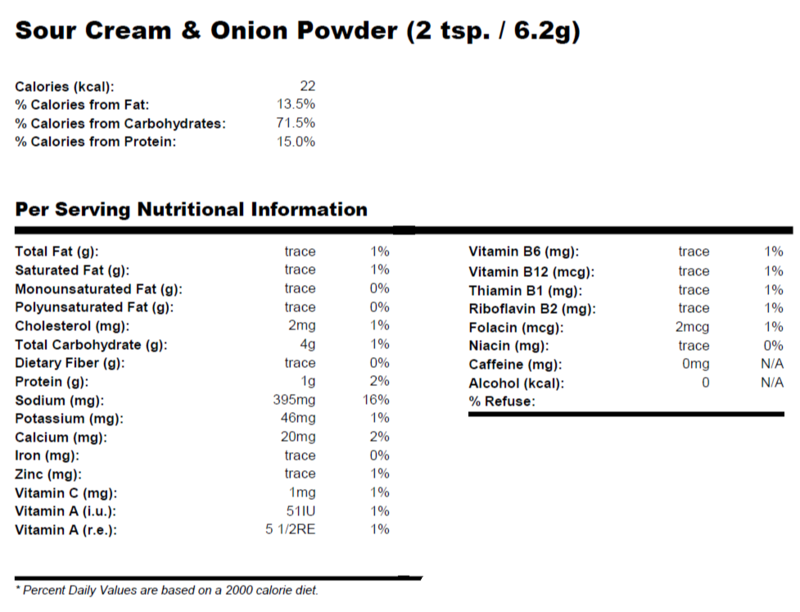 Abbreviated Ingredients: sour cream concentrate (maltodextrin, natural sour cream flavor), buttermilk powder, onion, sea salt, yeast extract, butter powder, garlic, <2% cane sugar, herbs, citric acid. Contains milk. Packaged in a facility that also handles wheat, milk, soy, egg, sesame, peanuts, and tree nuts. 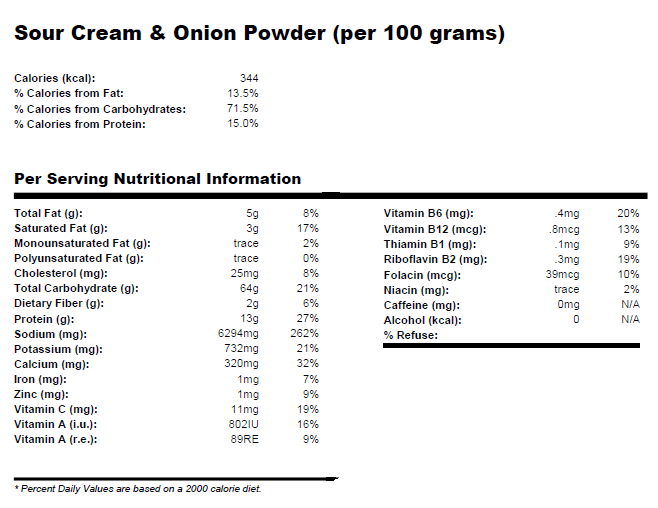 Nutrition Facts: Click here for data per 2 tsp. (6.2g) serving. Click here for data per 100 grams.